Click & Pledge helps nonprofits and other organizations deliver more impact via online donations and fundraising tools. We are proud to team up with our partners to integrate our platform as a payment and fundraising solution. Email us to see how we can work together to do more good. At Click & Pledge, we enjoy working with our clients. But we’ve also developed some great relationships with other businesses. They offer our platform as part of their own core product or service. These partners develop custom applications, forms, and more for our clients. We send our CSPs leads and Web referrals to customize our clients’ websites. We designed our platform to be flexible and compatible with powerful tools for custom builds. When we find great applications, we also find a way to integrate them into our platform. 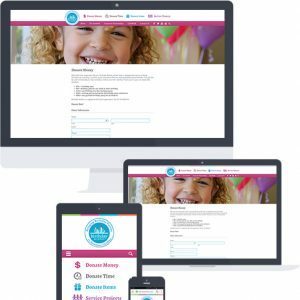 Want to help with Salesforce®? We partner with many certified Salesforce® consultants who are nonprofit experts. They deliver the expertise to get set up and running on the world’s leading CRM.